Remember to get the FACTS , CARE and, as always, keep your hope alive. You can get well. It takes time and continued support but you can do it- you can get through this hard time. You are strong. This is the message that Mary wants you to remember. In this Friday Morning Live, Mary discusses the next step in CARE: Refer. If you need help now: Call 1-800-273-TALK (8255) or text 741741. For the last few weeks Mary has talked about the FACTS and how very important it is to CARE (Connect, Ask, Refer, and Encourage). If you haven’t had a chance to watch and learn more from the previous two suicide prevention videos- we encourage you to when you have a chance. In this Friday Morning Live, Mary discusses the next step in CARE: Refer. Last week Mary talked about the FACTS– these are established symptoms of depression and, also, suicide. If you see these symptoms in a person, then it’s important to CARE. First you Connect meaning to listen, come from a place of concern, and let the person know that you are there and care. 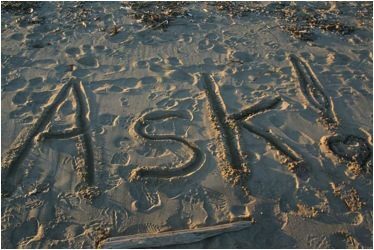 The next part of CARE is Ask. For the month of September, Mary is expanding her discussions on suicide awareness and prevention because of Suicide Awareness Week. 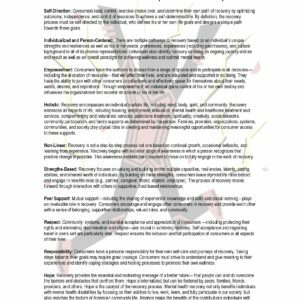 In this four part series, she will work to give you the skills needed to talk with people that displaying symptoms of depression and suicide. Take this moment of hope and share this information with others. Mary discusses the power that happens when people come together on their recovery journey. Find someone to connect with in some small way! Watch as she discusses how to continue with mental health recovery and mindfulness when you have to change your external environment and/or your routine. Take a break, take a breath and remember to enjoy the moment. Mary wants to talk to you about personal risk. Taking a risk is uncomfortable and can make you feel vulnerable at times, however without any risk it is hard to grow and recover. 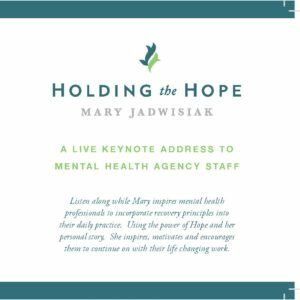 In this very special Friday Morning Live, Mary and her special guest, Sarah Jensen, discuss another aspect of dealing with trauma, Dialectical Behavior Therapy (DBT) or mindfulness. Respect! Just a Little Bit! 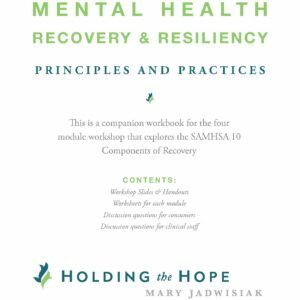 Mary’s take on this SAMHSA Guiding Principle of Recovery is one of introspection. We have to respect ourselves – that’s where it all begins. 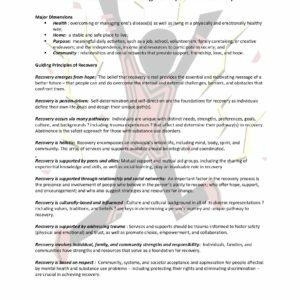 This week Mary discusses a part of SAMPSA Guiding Principles and Dimensions of Recovery which is recovery occurs via many pathways. Having the courage to forge ahead along your own recovery path is important. Mary wants to talk about self acceptance.Take a note from Mary rejection of self is not needed for recovery- hope for more, love more, reflect more, and accept yourself. Mary’s in Hawaii working with Naval Suicide Prevention. This week she discusses how important and special it is to acknowledge your successes and accomplishments in your own life and recovery. Forward movement, growth, and hope always. In this video, Mary wants to talk to you about suicide, its prevention, and recovery. She wants you to know better how to approach this very difficult topic because everyone has a role in suicide prevention. Remember the suicide prevention hotline is for everyone (those that are thinking about suicide or those that want to help). What is Success? Who Said So? Mary ponders what true success is versus what we think success should be. Is it perfection or is it acceptance of self? Can you be successful if you are denying who you are? Mary goes on to discuss success in recovery and what that might mean. Watch, learn and, as always, keep your hope alive. This is a very special Friday Morning Live because Mary is out-of-town in Ohio getting to discuss Hope with her own father. Hear them discuss how Hope, faith and peer support can help with the injustices and hardships of the life as well as stay focused, structure, motivation and purpose. Learn more, connect more, hope more. Mary visits Bremerton, Washington to talk how to provide an assist workshop. She gets into a discussion with people from the coast guard, former marines, and civilians about determination and how to fuel it. Part 2/2. Recovery involves the strength and resources of individuals, families, and communities as a foundation for recovery. But what happens when you are the parent? Parenting while in recovery is tricky since you are still in your illness.How do you deal with your recovery and be a good parent? Learn more in this Mother’s Day Friday Morning Live cast. Who are we and how do we know?